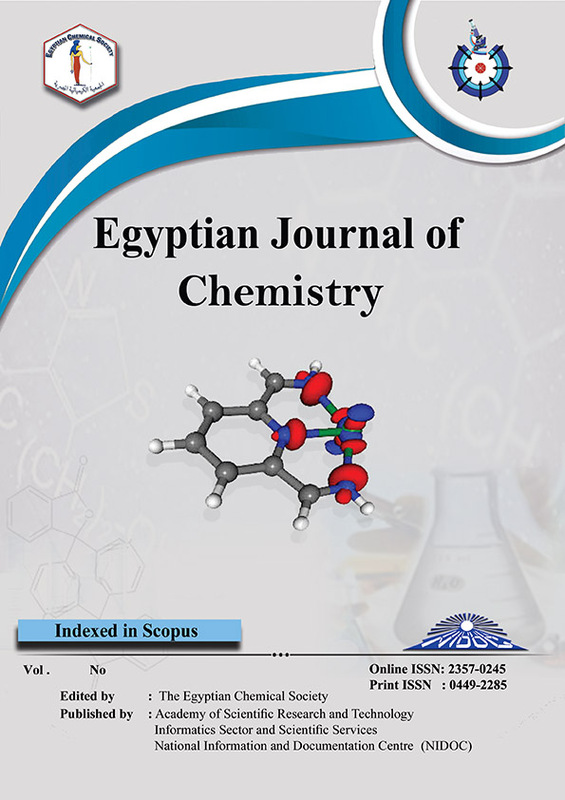 2Chemistry Department, Faculty of Science, Ain Shams University, Cairo, Egypt. 3Dyeing, printing, and auxiliaries department, textile research Division National Research Centre, cairo, Egypt. Yellow colorant was extracted from safflower petals through grinding, sifting, washing, filtering and drying. The Safflower petals were submitted to innovative extraction using microwave irradiation and under a variety of conditions. Variables studies including safflower concentration, duration of extraction, extracted dye bath pH and temperature to optimize the extraction condition. The effects of dye concentration, dye path pH, colorant temperature, colorant time and liquor ratio, were studied in terms of dye uptake and shade. Conditional changes in the innovatively extracted colorant and dyeing process vis-à-vis those of non-traditional extraction and dyeing were presented. The obtained results showed that the innovative extraction as well as dyeing process using the microwave irradiation consumes less time and energy when compared with the non-traditional technique. The results indicate further that current extraction colorant using the microwave or non-traditional heating brings into focus yellow colorant, which induces excellent overall color fastness when applied as a colorant in the dyeing of different fabrics. The analysis of absorption mechanism suggested that the hydrogen bonding and electrostatic interactions operating between Safflower yellow colorant and different fabrics lead to Freundlich absorption, though other interactions such as hydrophobic interaction and van der Waals forces contribute to Nernst partition adsorption. Freundlich absorption had a greater contribution to total adsorption of yellow colorant on wool fabric, whereas partition adsorption imparted greater influence to colorant adsorption on silk and wool/polyester blend fabric. The pseudo-second-order model describes appropriately the dyeing process of wool, silk and wool/polyester blend fabric based on safflower yellow colorant materials. The thermodynamic parameters of dye absorption showed a significant difference. The absorption affinity (−Δμ°) of extracted safflower yellow dye on wool, silk as well as wool/polyester blend fabric indicated that the absorption is a spontaneous and exothermic process. So, safflower yellow colorant could be a good candidate as a natural green dye.